Psychologist Serena Sheridan has come back to the small Louisiana town where she’d been raised—and where her grandfather has suddenly gone missing. Successful, ambitious, beautiful, Serena always found the darker world of the bayous far less predictable—and far more treacherous—than the life she’d chosen. 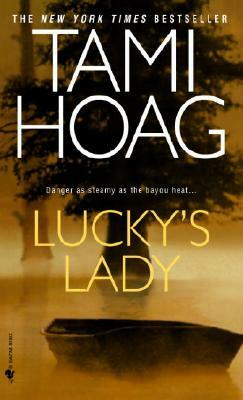 And for help, she must turn to a man as mysterious and dangerous as the backcountry itself: Lucky Doucet. He’s a man with a past littered with secrets best left concealed—the perfect guide to lead Serena into a world of dazzling seduction, sudden violence, and raw natural beauty. From the exotic French Quarter to the most remote bayou, they would follow a trail of corruption and betrayal to a showdown that would require they trust not only their own deepest instincts for survival—but each other.